If you are looking for a better alternative to your current daily supplement routine, Getting Started With Usana has never been any easier. Let’s walk through how Usana is the top recommended choice for daily supplements by thousands of nutrition experts around the world. It can be simple to create the strength, confidence, and energy to live life to the fullest each and every day. READ the 7 AMAZING Benefits of the USANA CellSentials. Over the past 17 years a certified holistic nutritionist I have helped thousands of people improve their health, have more energy, reduce inflammation and auto-immune disease and live a full and happy life. READ MORE ABOUT THE ANTI-INFLAMMATORY QUALITIES HERE. As a holistic nutritionist, I know what works. I also realize the importance of cellular health when it comes to nutrition and preventing inflammation. Optimal health begins with the cell. Usana is the only supplement line I recommend. I have seen the results firsthand in my own health and that of my clients, and I recommend them with confidence to you! Every day your body produces billions of new cells. They need optimal nutrition to grow and duplicate. Providing your body with the optimal nutrition it needs is essential to your overall health. A healthy diet is important but in today’s world, as dietary choices and food quality declines, you cannot get the vitamins and minerals you need from food alone. you need a high-quality nutritional vitamin-mineral supplement that does even more than protect your health and build and strong immune system. The reason people think supplements don’t work is that, in truth, a lot of them don’t. Most products on the shelf don’t contain what they say on the bottle and in fact contain fillers, colours, and other additives that can be dangerous to your health. You can trust your health to USANA! Usana produces the very best pharmaceutical grade supplements. Usana follows good manufacturing practices (GMP) to ensure quality, purity, and potency. Usana has been rated number one in the world and has received over 650 awards, including a 5-star rating in the Comparative Guide to Nutritional Supplements, pharmaceutical quality manufacturing standards, excellent customer service, and great prices. Learn more here. 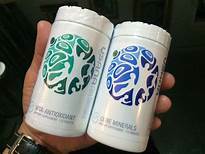 What Usana says is on the bottle, is in the bottle and not only that, every nutrient is bioavailable, able to be absorbed on a cellular level where all bodily processes occur. Your cells and tissues are constantly renewing and regenerating. They need vitamins and minerals for many reasons. ~ Your entire bloodstream is renewed every three to four months. ~ Every six months, the majority of your body’s proteins are replaced. ~ Your skeleton is renewed and remodelled about every ten years. You deserve a happy, healthy life and I can help you with that. Having helped hundreds of people over the past 16 years I know the products you can count on, the supplements that deliver. Usana produces the best anti-inflammatory supplements. Your body deserves the best and you can count on Usana to provide you with the best quality supplement on the market. Nourish Protect and Renew your cells with the USANA HealthPak, it’s super convenient, all your daily supplement needs in a handy pack that’s perfect for your purse, pocket or travel, affordable and your body will love you for it! -CellSentials Booster (1 tablet) a HealthPak exclusive! 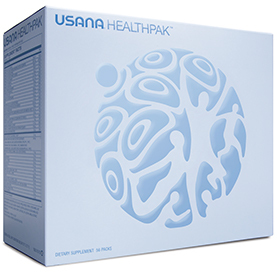 Build a solid foundation for better health with USANA’s HealthPak. It’s only 160.95 CDN, your country’s option will be at the checkout. From pregnancy through childhood, adolescence, and adulthood, Usana recognizes that we have different nutritional needs at every stage of life, and healthy bodies need support every day. Anti-aging begins at conception. 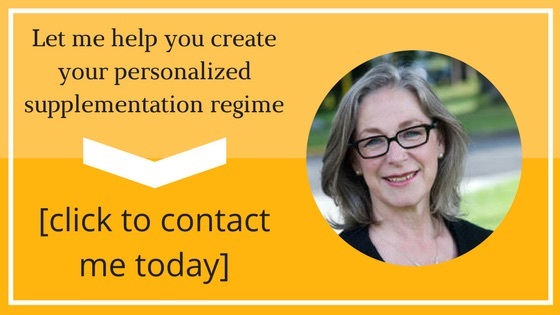 I can help you create a plan that is just right for you and your family. You are just Getting Started With Usana, this is just the beginning!